Slice potatoes or almost any vegetable into perfectly shaped fries! 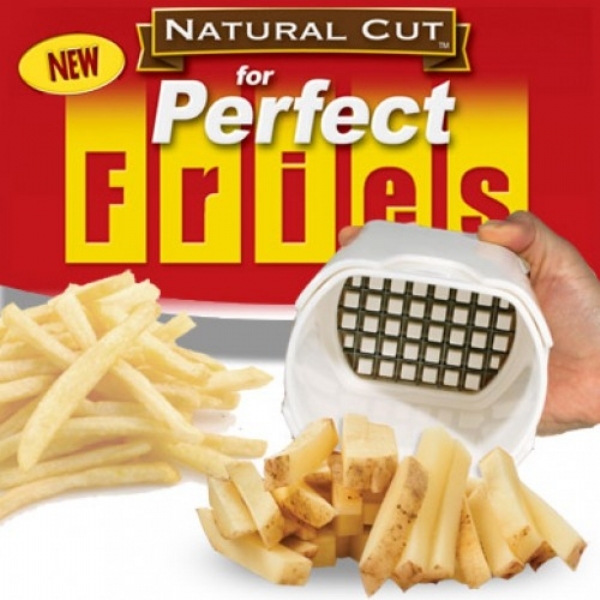 One-step cutter slices potatoes or almost any veggie into perfectly shaped fries. No more peeling, chopping, and slicing by hand! Just "plunge" potatoes down for instant fries. This cutter&apos;s design uses cross pattern steel blades to cut effortlessly and evenly for perfect results every time.